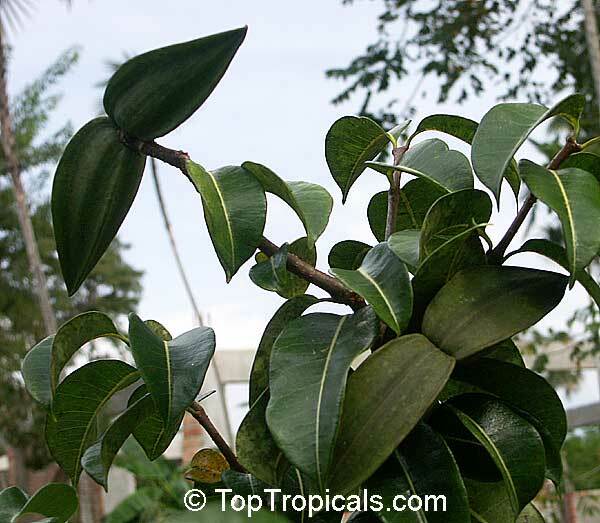 The India Rubber Vine originates from Madagascar and was formerly grown there and later in India to produce a poor quality rubber latex. Has large (2" across), showy, lilac flowers with a broad funnel-shaped tube and five spreading lobes. 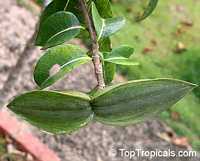 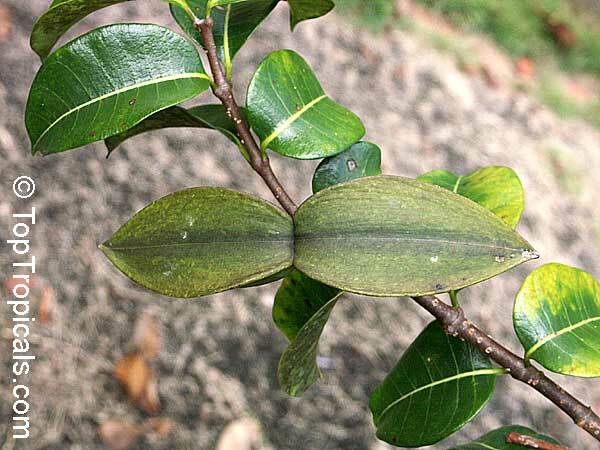 Leaves are very ornamental, wide, deep green and waxy. 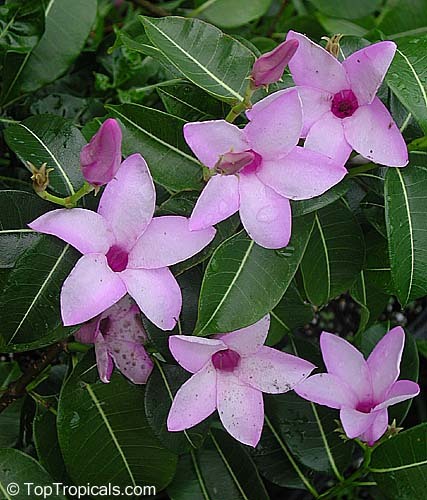 This exotic woody vine poses a significant threat to northern Australian savanna landscapes. 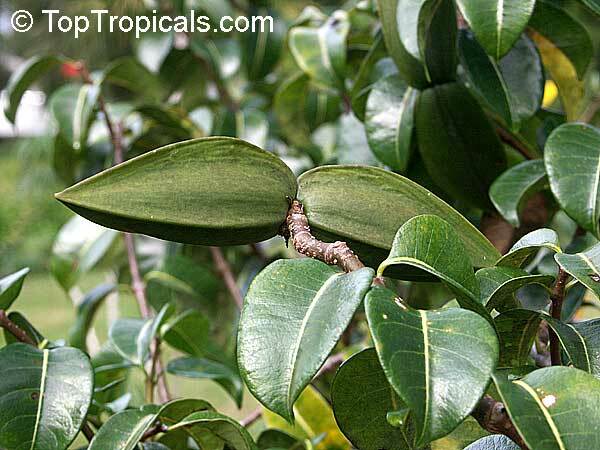 The Rubber Vine is poisonous it contains glucosides interfering with the heart, and ingesting with provoke stomach and intestinal upset. When trimming wear gloves since the sap is very irritating to the skin, and discard what you trimmed rapidly, because the dust from dried plants is also irritating. 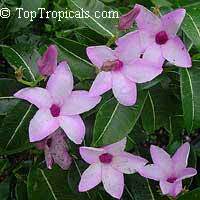 Rubber vine, Purple Allamanda. 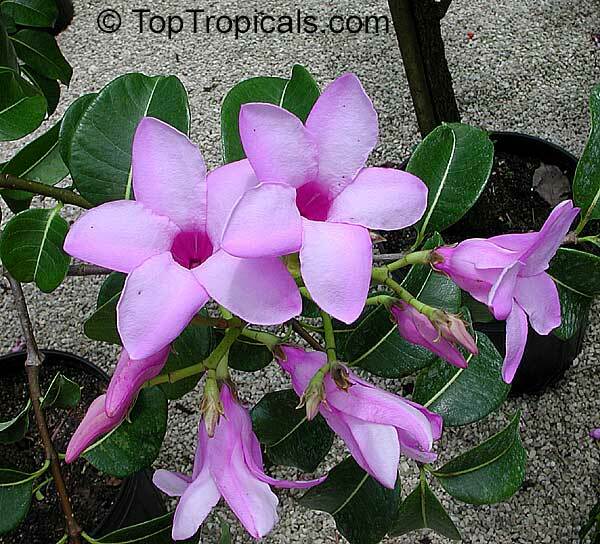 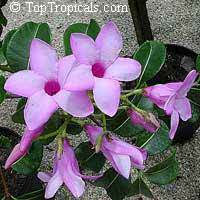 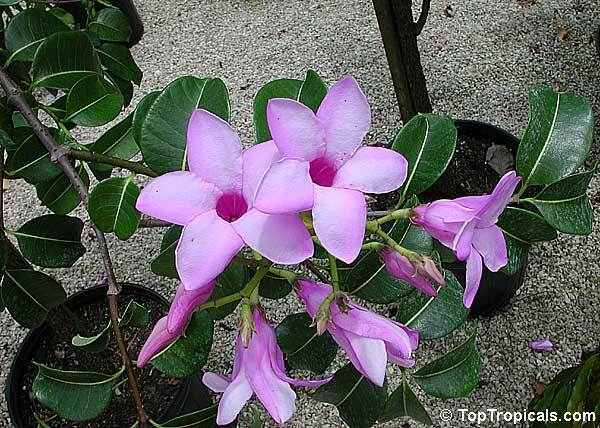 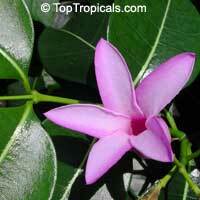 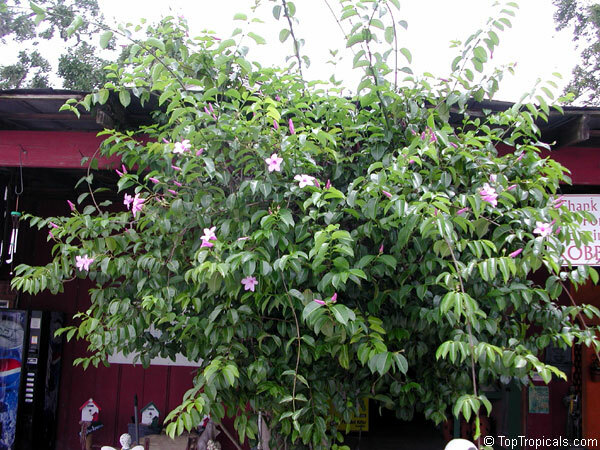 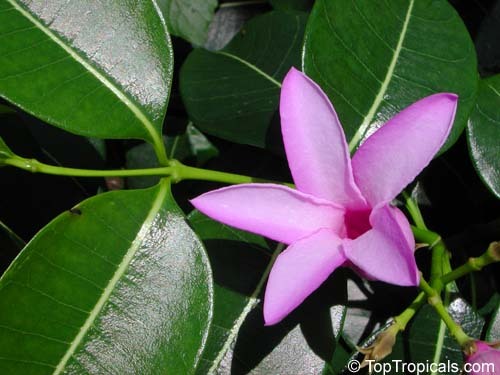 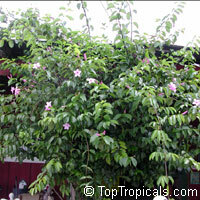 Showy shrub or vine with waxy leaves and bright lavender-pink flowers. 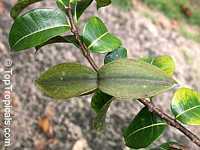 Hardy and easy to grow.